Everyone collaborates in their own way. You need someone to help you communicate and work better with solutions and services like IM, presence, telephony, video and more — all through a delivery model that fits your exact needs. That’s why we offer you the people, partners and plan for a total collaboration experience that’s as unique as your organization. Account Managers: Our account managers have a deep understanding of your business needs and how to fulfill them. In addition to being your single point of contact, they are regularly trained on new CDW total collaboration services. So we can solve your issues quickly and even anticipate them before they happen. Solution Architects: Our team has the experience and the expertise to make the most of the collaboration landscape. As your technology partner, CDW can help assess your unique needs and construct a solution that fits seamlessly within your existing infrastructure. Collaboration Engineers: Our dedicated collaboration engineers can find a solution and then implement it. We can also manage your infrastructure so your IT team doesn’t have to. We provide end-to-end support for collaboration solutions that help you meet your objectives. That includes everything from strategy and design to implementation and ongoing management. Integration Capabilities: With our total collaboration experience, we tailor solutions to your organization instead of the other way around. We offer options like email, content sharing, social networking software, voice and video conferencing, presence and more. Then we help you integrate them with your existing IT framework or host them in the cloud. Collaboration Strategy: When we implement your solution, we have one goal: to help you achieve your goals. Our experts start by working with you to define your most important objectives and develop a strategy to help you meet them. Then, our solution architects recommend the best combination of solutions and steps that will take you where you want to go. Training and Adoption: During each phase of deployment, we can train you and your staff on how to use your new technology. That way, they’ll understand how to get the most out of your solutions from day one, and you can avoid losing a moment of productivity. Reduces travel expenditures: With web conferencing and telepresence solutions, face time doesn’t have to mean travel time. 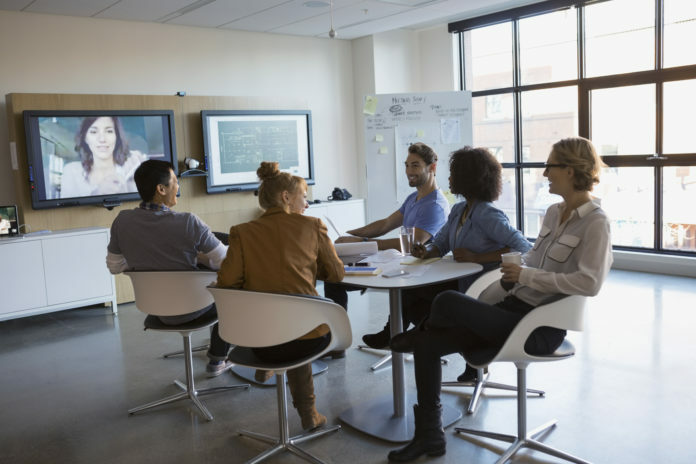 Improves corporate communications: Collaboration tools help organizations gain instant access to customer feedback and hold real-time meetings with colleagues near and far to foster innovative thinking. Enhances project management: By streamlining document repositories and improving team communication, project managers stay informed about the real-time status of their projects. Accelerates problem resolution: Instant messaging, presence and now social enterprise applications speed information sharing and provide instant access to experts anywhere in the organization, at practically any time, so there’s always someone available to answer the what, how or why.